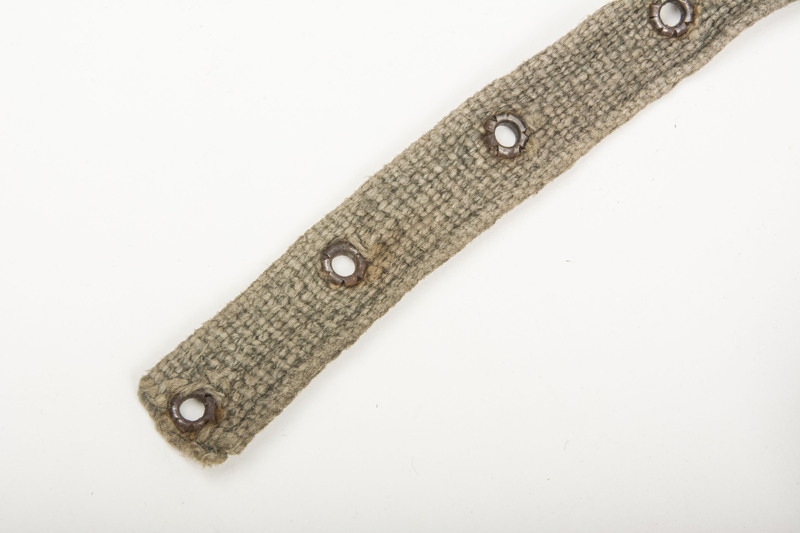 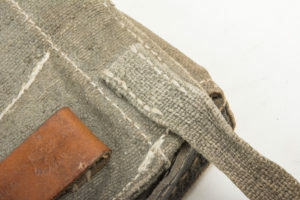 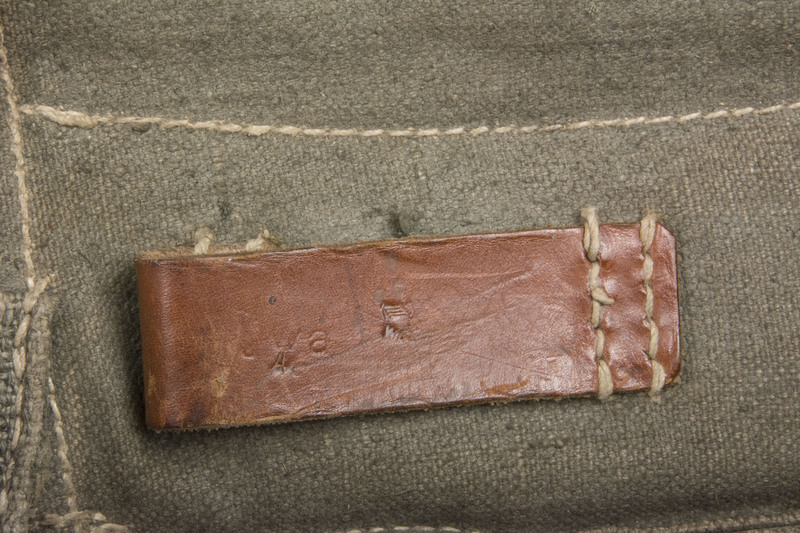 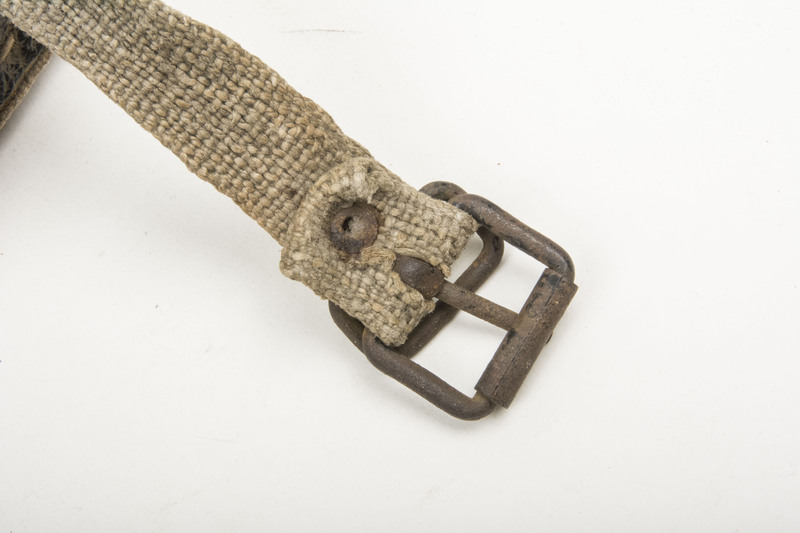 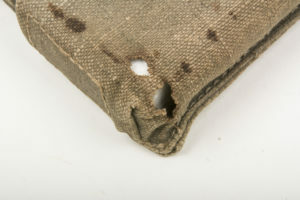 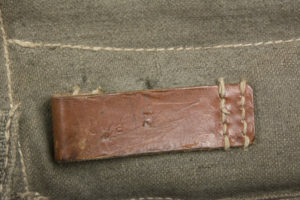 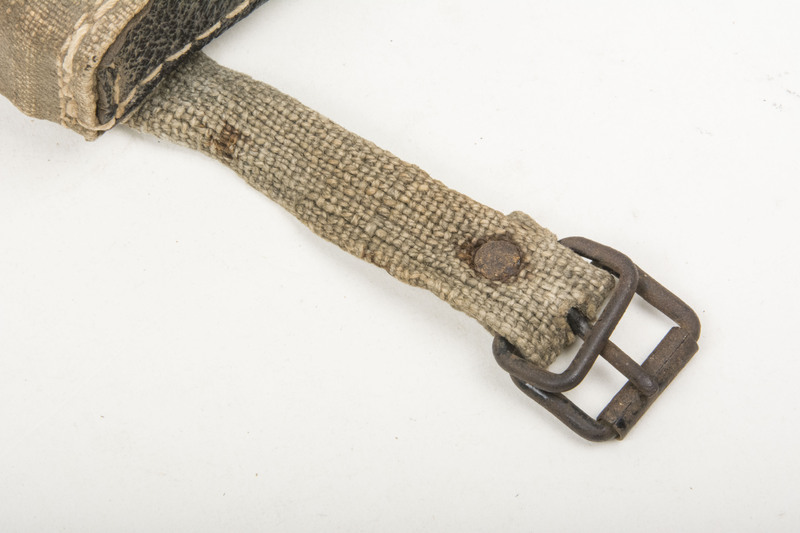 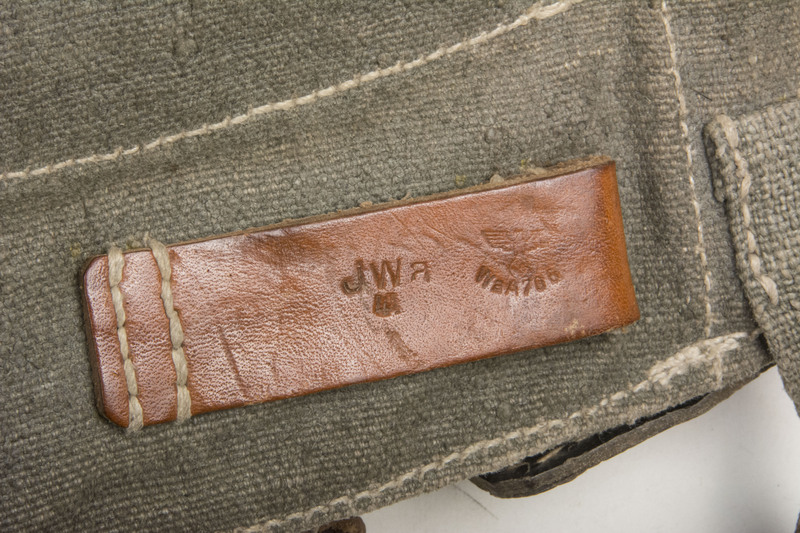 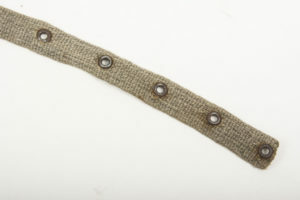 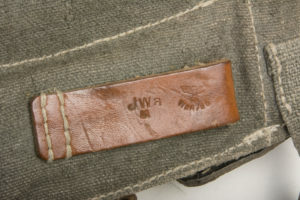 Colour of main material: Late war canvas with the typical red line which was woven in to indicate the length of fabric during fabric production. 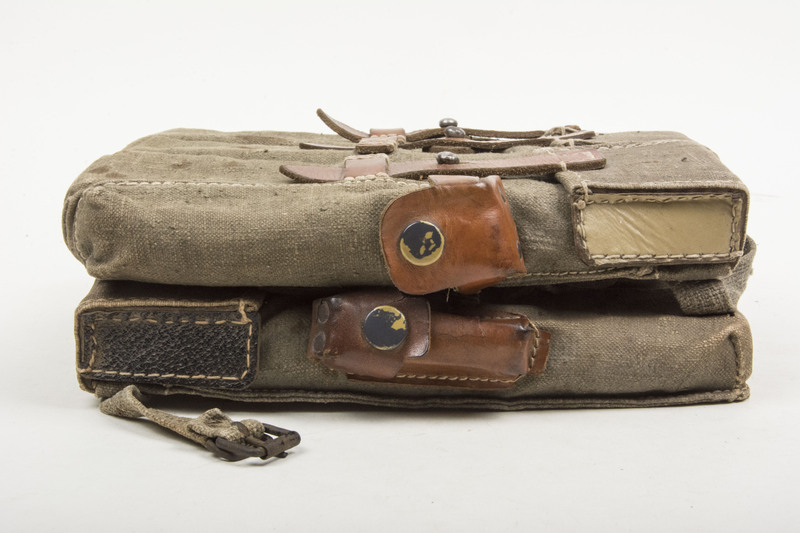 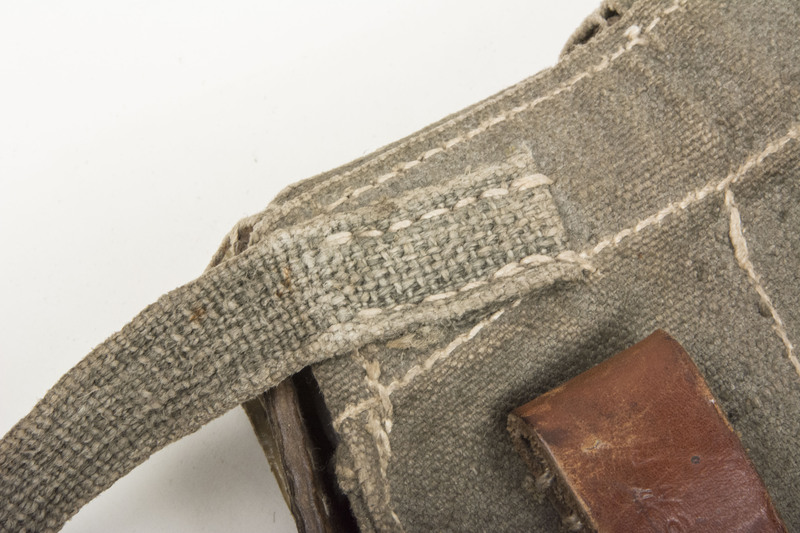 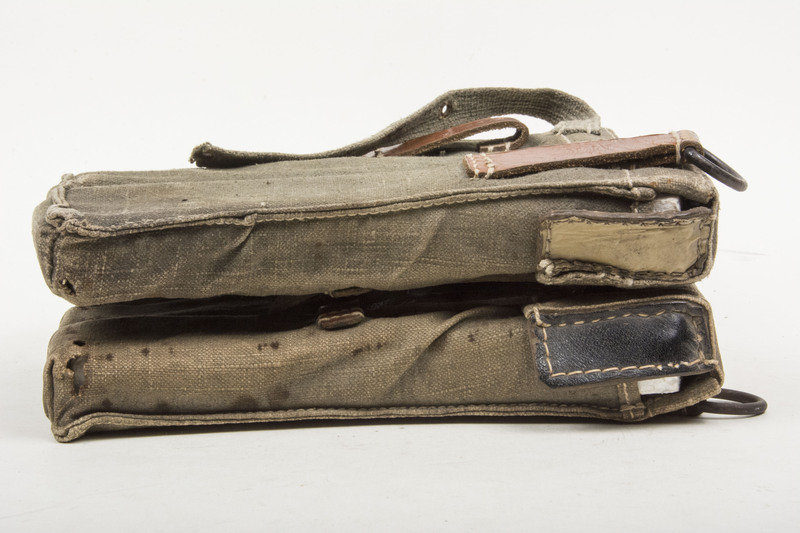 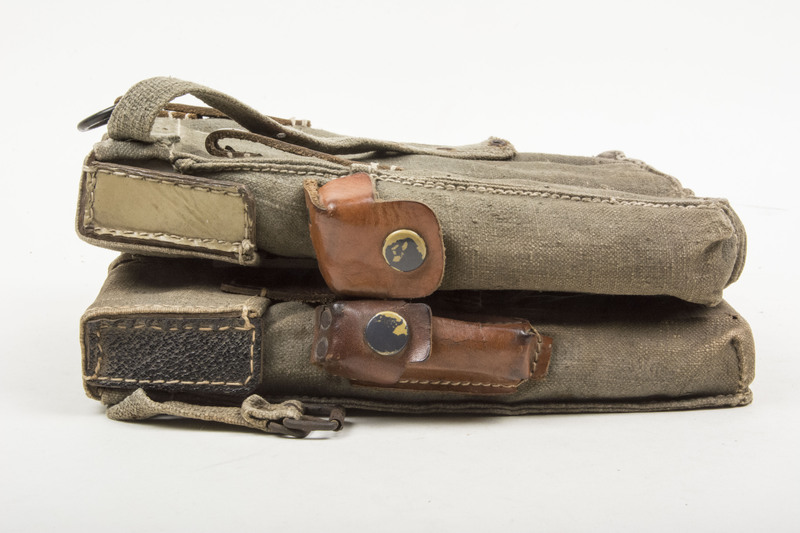 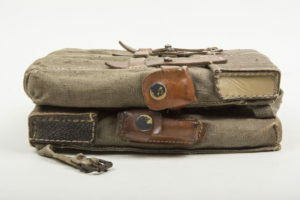 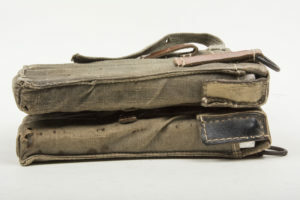 Notes: Probably one of the rarest magazine pouches produced during the second world war. 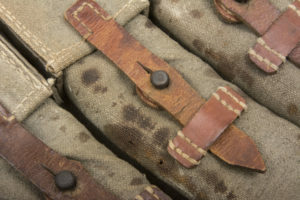 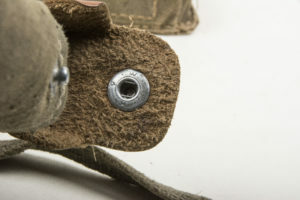 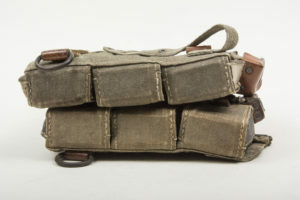 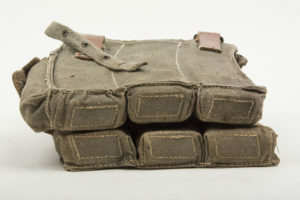 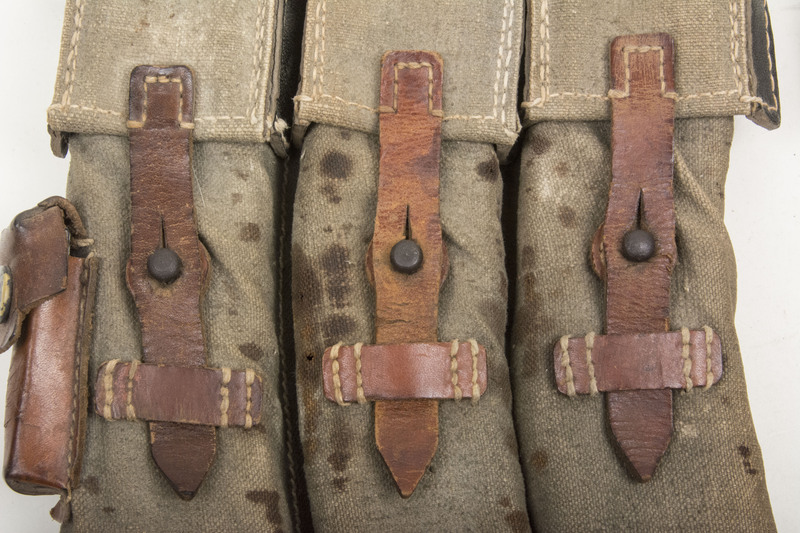 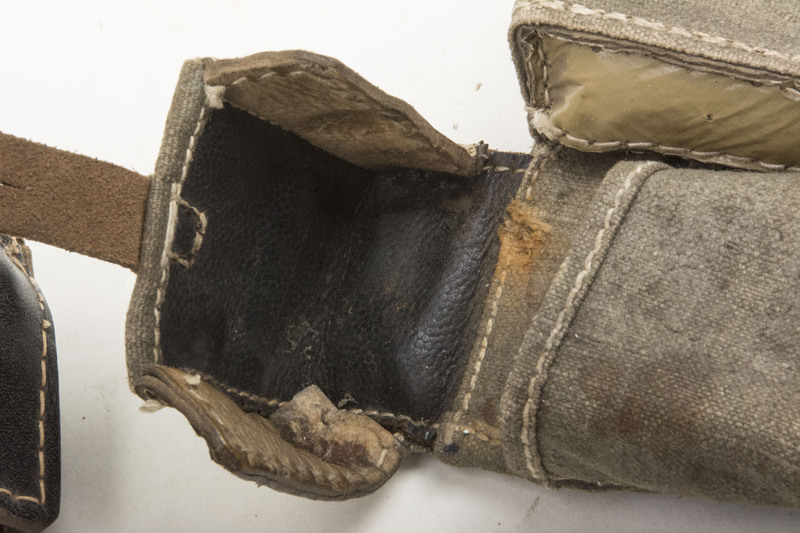 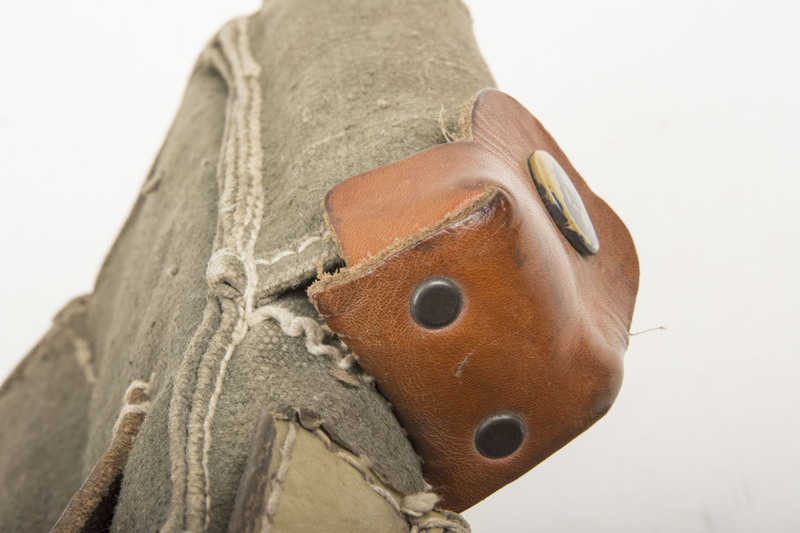 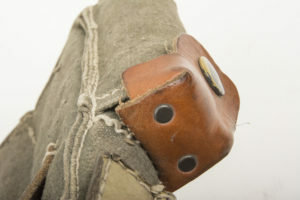 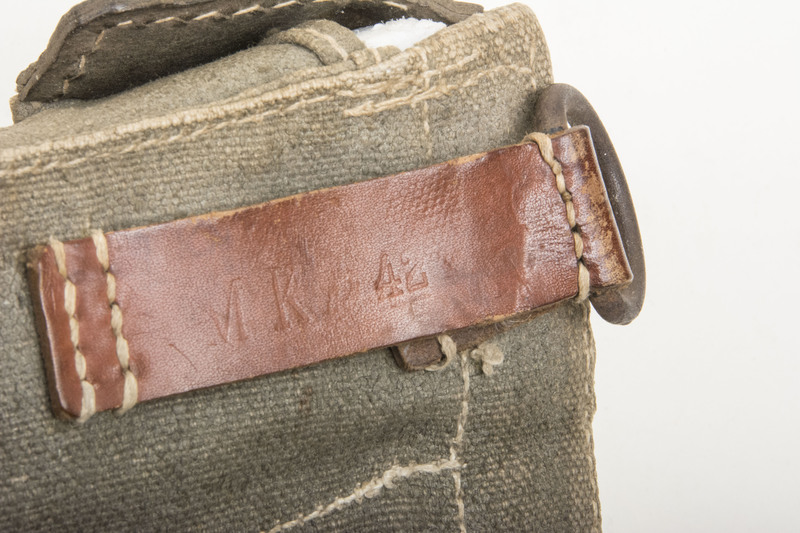 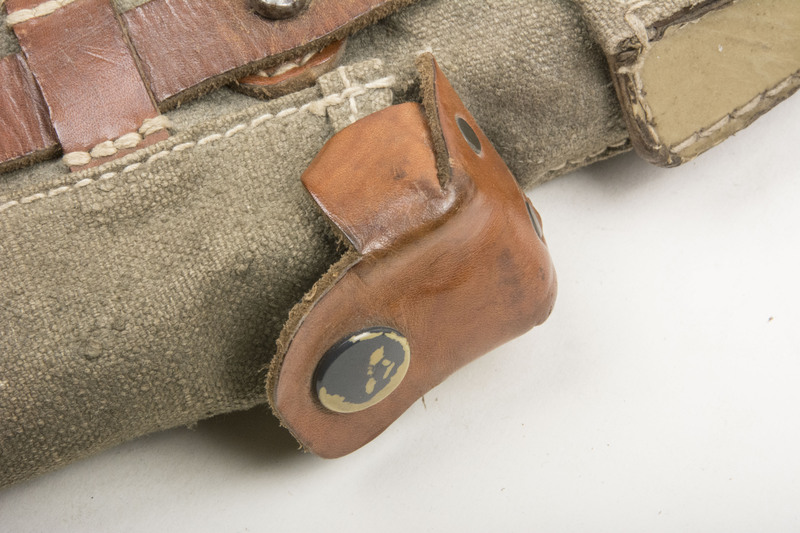 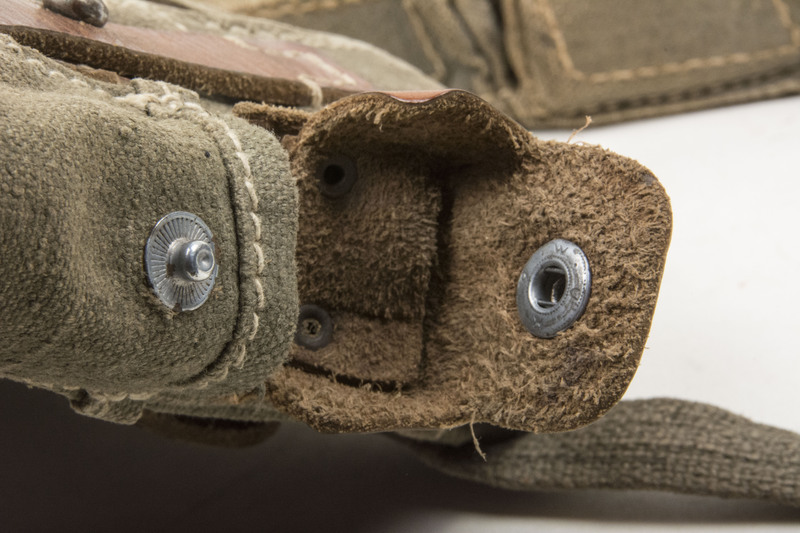 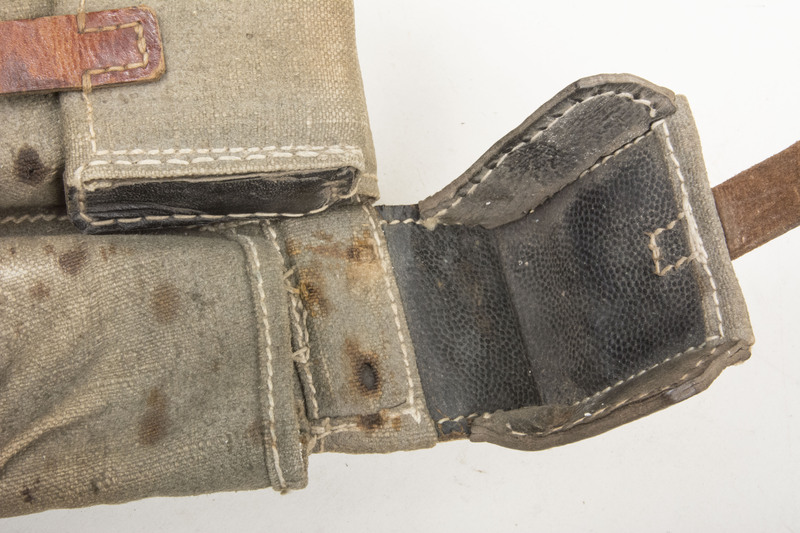 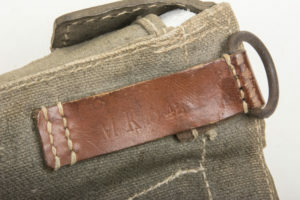 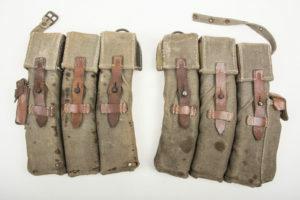 These magazine pouches for the MKb 42 are as rare as the weapons itself. 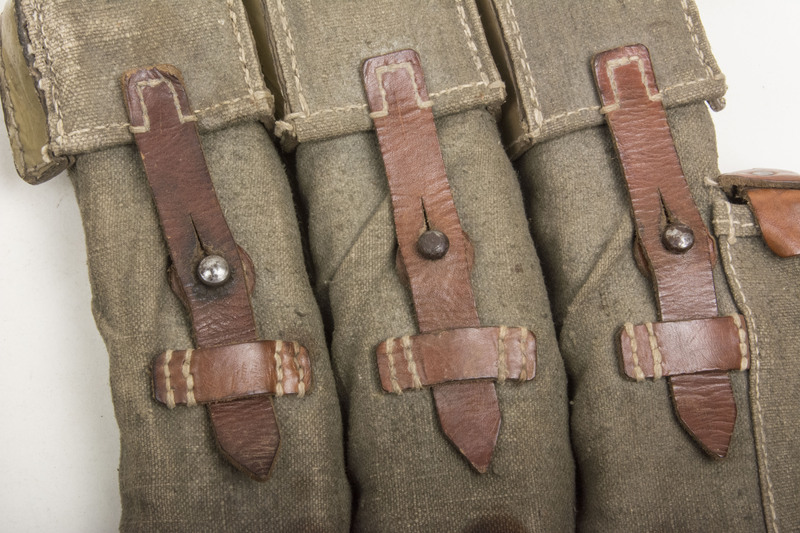 Interestingly these seem a in between model between the first and third type. 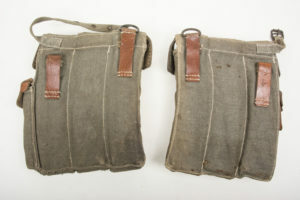 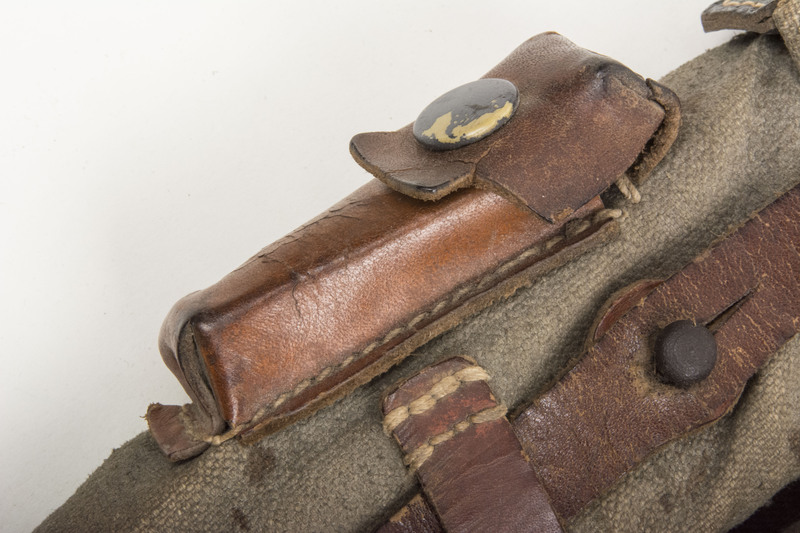 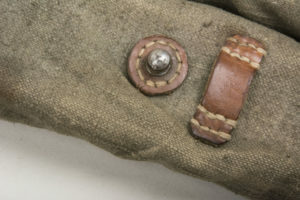 The first type of pouches has the same direction of the magazine compartments pointing inwards. 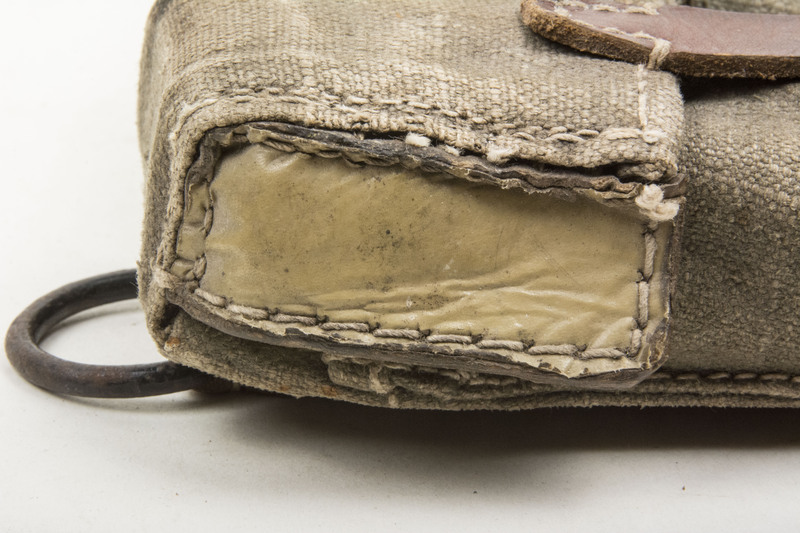 In the later models these where the magazines curved out of the way of the body. Most probably due to the magazines sticking into ones abdomen whilst going prone.